No. Reiki / energy based healing practices can be learnt by anyone regardless of their religious belief or spiritual background. This is a very important teaching that applies to almost all Reiki healing systems and something that we wish to make very clear here. 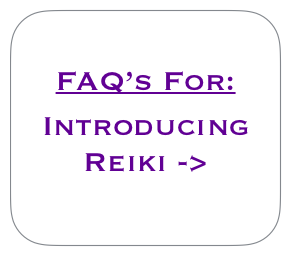 If anything, Reiki actually helps us to move closer to our own faith and belief in 'the divine' as our understanding of love, light and happiness evolves. At Love Inspiration, we are very happy to offer all of our healing systems freely and with love to anyone regardless of their religious belief or faith. We openly wish to help all beings through these healing systems and we offer these to anyone who wishes to receive regardless of religious beliefs, cultural background, age, gender, spiritual experiences, community, qualification etc. ​May these energies radiate outwards for all beings to benefit from and may there be no more separation or isolation in this world as we move towards this beautiful & deeply loving new consciousness.